FS-4200DN Kyocera FS-4200DN Mono Laser Printer - Refurbished with 3 months Return To Base Warranty & Working Consumables. 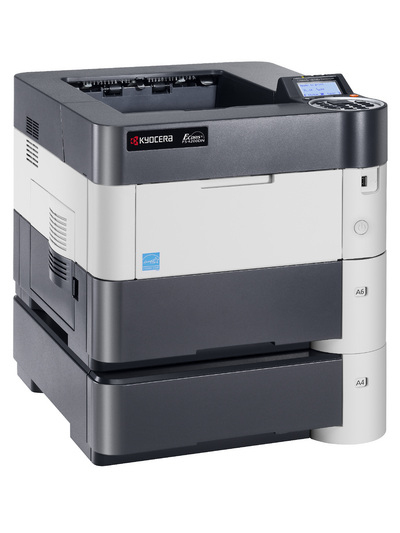 The Kyocera FS-4200DN Mono Laser Printer is as good as buying new as all worn parts are replaced. This saves you up to 50% off the price of a brand new printer. We are confident that you will be 100% satisfied with your Kyocera FS-4200DN Mono Laser Printer and are here to help with any support questions you may have. The Manufacturers part number/product code for this item is: FS-4200DN. - Up to 50 pages per minute in A4 with up to 1,200 dpi resolution. - Gigabit network functionality as standard. - Lowest power consumption (TEC) in its class. - Duplex printing and N-up printing reduces paper consumption. - Up to 6 paper trays for superior flexibility and high capacity. - Alphanumeric keypad for easy password entering (Private Print). - Advanced document handling with optional SD cards. - Long-life drum and developer lasts for 500,000 pages A4. The office workhorse, this printer will run and run and run, printing up to 50 ppm and integrating perfectly into any network environment. The device has enhanced security features, flexible paper handling options with a maximum paper capacity of 2,600 sheets. Its long life components mean incredibly low running cost and impact on the environment.